Trisha Caetano received her Bachelor of Science degree from the University of Oregon and continued her studies at Portland State University. She studied ClientCentered Therapy under Carl Rogers at U.C.S.D. and has a background in Regression Therapy, Gestalt Therapy and Psychosynthesis. 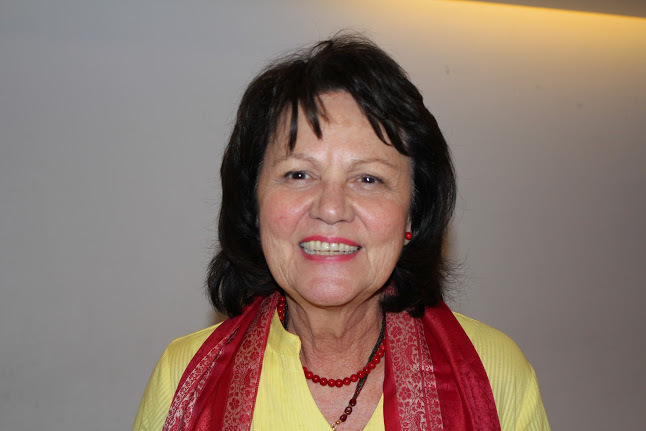 Trisha is internationally known as a pioneer in Inner Child Integration and Regression Therapy and has given trainings for medical doctors, psychologists and psychotherapeutic professionals in numerous countries. She was twice elected President of The Association for Regression Research and Therapies Inc., a world wide organization of professionals from 23 different countries with nearly 1,000 members. The organization was focused on using regression therapy as a therapeutic tool in healing. Prior to her presidency, she was the director of their training team to certify therapists in regression therapy and was part of the three member training team for the first medical training done by Brian Weiss in the United States. Having worked primarily in the United States, Trisha was invited to come to the Netherlands in 1990 to do a graduate training in regression therapy for professionals. 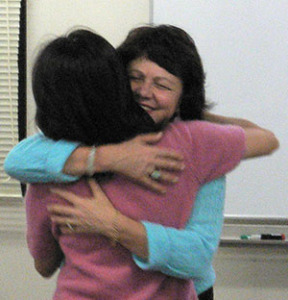 In a demonstration during the training, she included Inner Child work in the healing and integration part of the session. Seeing this, students and graduates wanted a more in-depth training so the first Inner Child Integration Therapy Training was started in the Netherlands in 1994. Trisha pioneered this paradigm and she continues to offer training world wide. In Europe, the prestigious international organization for professional regression therapists, the Earth Association for Regression Therapy, EARTh, has given her the Honorary Life Membership award for her world wide contribution to regression therapy. Trisha has travelled extensively offer presentations and training in England, Japan, Australia, Portugal, Turkey, India, New Zealand and the United States. She has given keynote speeches in numerous countries including the Netherlands, Germany, Turkey, Dubai, India, Japan and the United States. International companies have hired Trisha to provide consulting, training in communication and conflict resolution and professional training workshops. Published in professional journals, newsletters and magazines internationally, Trisha has been featured on national and international television and radio programs. She is known as a vibrant and knowledgeable presenter, educator and trainer in the fields of interpersonal and transpersonal development. She brings energy, humor, insight and empathy to her work. Working in Europe in countries where they were invaded and taken over by a foreign country created a generational impact with issues of shame, rage, sorrow, guilt and powerlessness to a degree that I did not find in the United States. Although I had worked with Vietnam veterans and post-traumatic stress disorder, it is different when your homes are invaded and your women violated.